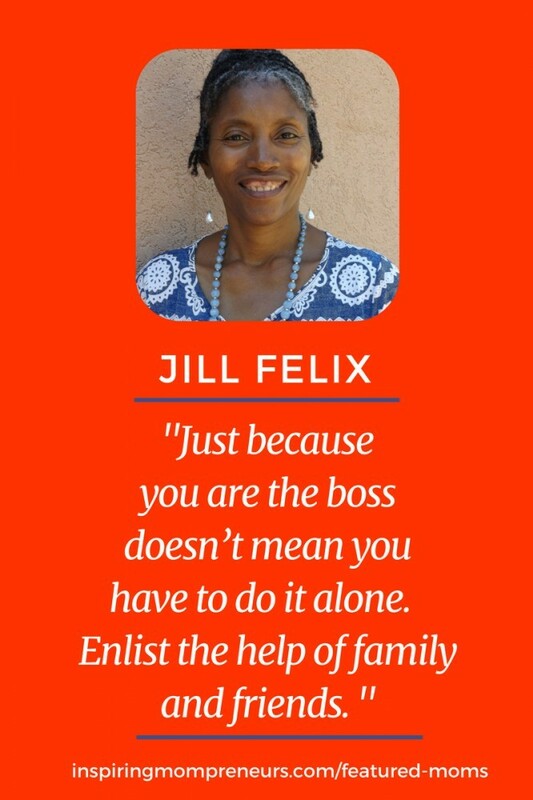 Meet Jill Felix, an inspirational Mom of 5 and Entrepreneur offering Virtual Assistant Administrative Services. 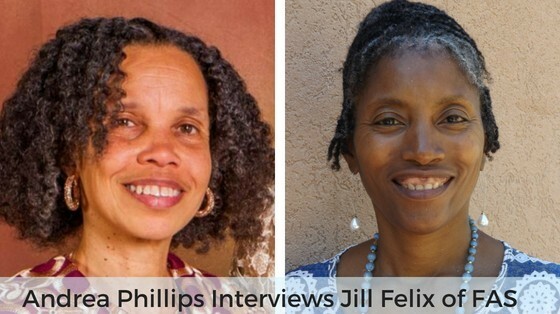 Jill was interviewed by Health and Lifestyle Writer, Andrea Phillips. Today’s interview is with Jill Felix, a devoted mom and productive business owner. 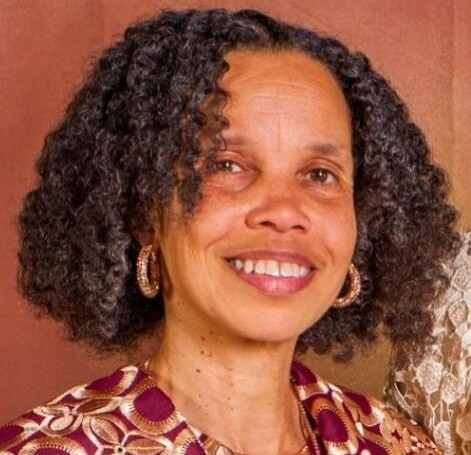 She is sharing valuable life and entrepreneur lessons she acquired throughout her freelance career and the inception of her home business, Felix Administrative Service. Her special set of “extra” challenges seems to have reinforced her resilience and passion for meaningful success. There are tips and inspiration for us all here. I want to extend a special welcome to you Jill, and thank you for taking time out to share your success story with us. At the head of “Mompreneurs” is Mom, so let’s start with learning who you are as a Mom. First, let me take this opportunity to thank you, Andrea, for granting me this interview which I consider a blessed opportunity. Daily life and responsibilities tend to cast you outside yourself, in a vortex where you lose a sense of self, your accomplishments and all the things you do, not just for yourself but for others. This interview gave me a chance to stop, introspect and retrospect. It is in sync with my embracing self-love – appreciation, recognition, compassion, etc. that I am learning and have come to value in this phase of my life. 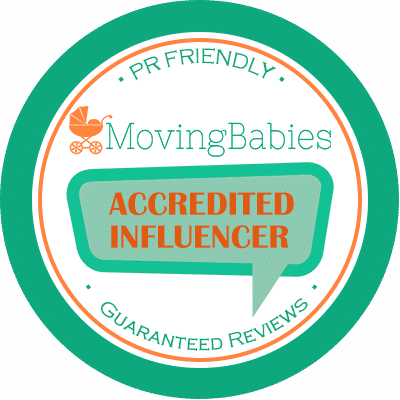 I definitely am pleased with the self-improvement path that I am on, but enjoy the person that I am now and my accomplishments, which includes being a “Mompreneur.” Once again, thank you for the interview. My name is Jill Felix and I am 53 years old. I have been married 22 years and am the mother of 5 children (4 boys, 1 girl), ages – 22, 20, 17, 12, and 9, who are the centre of my existence. I see now, raising my children to be the beautiful people they are, is definitely a fulfilling accomplishment. A Chicago native, I have lived in Israel for 19 years. Making aliyah (immigrating to Israel), just me and two young children (my husband joined us a few years later) was overwhelming and even traumatic. Adjusting to a whole new lifestyle and society, giving birth here away from my paternal family, experiencing a new educational system, sending children into mandatory army duty and more, has been challenging. It has definitely been rooted in love and family bonding to emerge as productive citizens and a happy family. What entrepreneurial business are you engaged in? The name of my business is FAS – Felix Administrative Service – a virtual administrative assistance business which I started in 2012. Like so many, I made the decision to capitalize on the virtual world in terms of self employment. I really didn’t know how or even where to start. I kept looking outside myself or tried to learn something new. A “eureka” moment hit me – go with your skills, what you know. From experience, I know that the cornerstone to any successful business/organization is the Secretary – or a more embellished word – Administrative Assistant. I did not study Office Administration, I learned through on the job training; which for me turned out to be the best way to learn. I have a BA in English Literature so that was the basis of the writing and editing expertise. My parents were teachers – superb teachers – but that didn’t inspire me to be one. English being a sought after global language, I buckled down and decided to teach which I have come to enjoy. My business is a fusion of my skills and what I love to do, vital ingredients I feel for a successful Mompreneur business. What gave you the confidence to start your own business and how did you prepare and position yourself for success? As you can see from the age range of my children, I have a busy load. I wanted a work environment that allows me to be at home and not tied down to a 9 to 5 job. Work controls your time. I wanted to be in control of my own time, love my work and have a sense of flexibility. Being a freelancer was the solution. Of course, there are challenges working from home, being your own boss. It’s my choice. This was the fuel for my confidence. Preparation and success came through humility. Intuitively, I knew from the start that I couldn’t establish my own business shooting from the hip. Through friends, I learned about an organization that helps women establish their own business. I received a loan along with valuable, business consultations and courses to help get me started. Becoming a Mompreneur was a definite confidence builder, fear breaker and significant turning point in my life. Is your business sustaining you now or do you also work outside the home? I work as a part-time English teacher for an international language company. FAS does not fully sustain me and my family but it is heading in that direction. My goal is to reach a point where it does. I feel that you can, and many people do, maintain outside jobs and have a successful home-based business. Financial freedom involves many streams of income. The key is to love whatever it is you do. Also, my part time job helps to finance training that increases my skill set and upgrades my business. Have you noted any increase in your income as you move forward into self/business sufficiency? The primary source of income from my business has been from the writing and editing services which grows significantly each year. When I started, I thought I would be able to do all of the areas of my business at once. I felt a since of failure when I couldn’t get it going all at once. I found that a start was better than no start. So if it was writing and editing, go with it and I did. This year I am promoting myself in other areas and getting work and feel it will be profitable for me. Tell us a little bit about the interplay of being a mother and working at home running your business. Wow! I think that word sums it up best. It is a balancing act that involves discipline, focus, patience, you name it. There are definitely high and low days. Working from home is so convenient yet has all of the major distractions that your home can bring. The lows come from thinking that I should have it all together by now after being in business for 6 years. Not the case and I have come to accept the fact that that’s ok. The highs come from no matter how hard it gets, I keep at it. I am who I am. I am doing and giving my all in all as a mother and a Mompreneur. My children often ask me, “What do you do mom?” So, it has been rewarding to give them a glimpse of another aspect of me, my passions and skills. I have even begun to bring them into the business with lessons and tasks. What advice and encouragement would you like to share with other inspiring mompreneurs who are learning about your story today? Working 9 to 5 on a job is slowly becoming obsolete. 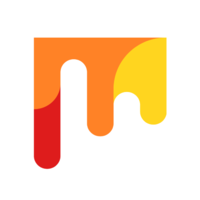 Entrepreneurship is what it is all about. It gives you a sense of independence and a contributing factor to true financial freedom. My advice, do it and persevere. Love what you do even when there are days the difficulties arise and you hate it. You will experience a wide range of emotions but it is worth it. Set goals and have expectations but be patient with yourself. Continue to learn and perfect your skills to make your business better. Just because you are the boss doesn’t mean you have to do it alone. Enlist the help of family and friends. Most importantly, take care of yourself holistically. Have a life and have fun. There are times when I feel overwhelmed, but in the end, I am happy that I run my own business. It involves successes and failures. Despite all, you are moving forward. Are you in need of someone with Virtual Assistant Administrative Services? You can find Jill Felix on LinkedIn. This is an inspiring post for moms who wants to work at home and be with their kids especially when they’re still small. 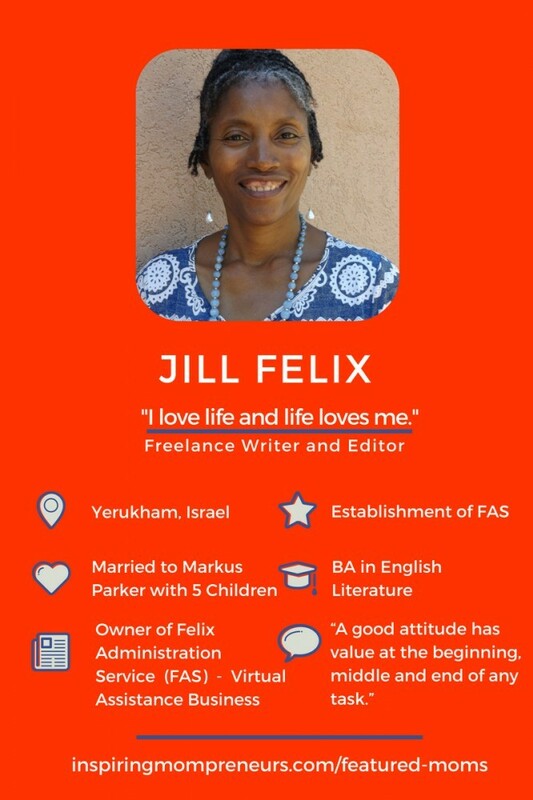 I honor Jill for being persevering and ambitious to reach her goal, and being patient, too. She’s also teaching her kids to help with her business. Starting them young is a really nice idea. Thanks for your wonderful, heartfelt comment. I agree, Jill has inspired me too. All the best to you as you live out your dream. Hello! I love the whole concept of this post. The first thing that jumped out at me was that Jill is operating her virtual assistant business from Israel! Are there any particular challenges that come from operating in the Middle East? Also I appreciate the reality described about the challenges of working from home. Everyone says how great it is, and I don’t doubt that, but I like Jill’s realness in describing the “up and down” nature of one’s emotions about working from home. It is inspiring reading about women who are calling their own shots and particularly mothers who are not saying either or but both…motherhood and entrepreneurship. Kudos to these fabulous women. Thank You for your beautiful comment, Melo Ann. I’ll get in touch with Jill and let her know so that she can answer you personally.